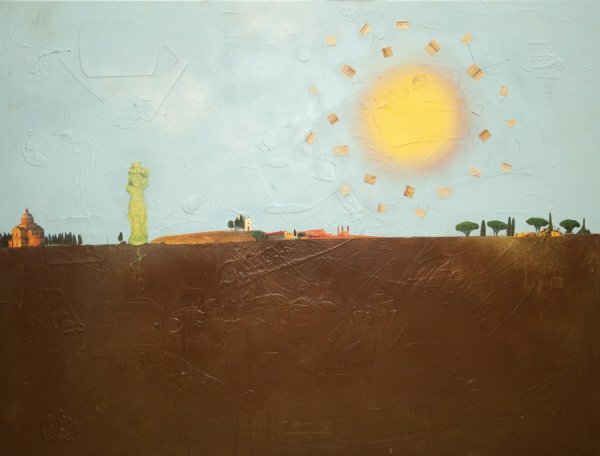 This piece blends photopgraphs of Tuscan landscape from a calendar I had with my own spray-painted backdrop. It's a really fine line between reality and fantasy that I walk with this piece and I think that makes it strong. It has a warped sense of reality, almost tangible but not quite.